This wine really plays to the strengths of the vintage with 53% Merlot in the blend, and it shines through on the nose especially, with ripe plummy fruit present on the bouquet. It is soft and easy on the palate, with an edge of minerality adding a twist of freshness to the rich berry fruit. The finish is crisp, with the softest, ripest of tannins making this an incredibly drinkable wine. Duhart Milon reveals a pleasing purity and sense of elegance with ripe, even plump, fruit all progressing neatly in a laid back, easy manner which is a credit to the team at Ch. 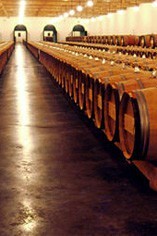 Lafite who have resisted stretching the wine. It hasn’t great weight, and nor should it in a vintage like ‘12, but with its satisfying, sweet fruit it will make fine early drinking. 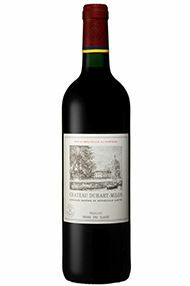 With 71% Cabernet Sauvignon and 29% Merlot Duhart-Milon-Rothschild is a bit firmer than the Carruades de Lafite, but is still very Pauillac indeed. An attractive blackcurrant nose is followed by a very ample concentrated palate that is incredibly fresh and very fine indeed. Despite its considerable structure this is a real charmer. Excellent. Engaging aromatics make this wine immediately attractive in the nose. The perfume is lovely and floral, with hints of violet and creamy raspberry. The wine is a glorious deep purple, instantly appealing in the glass, and doesn't disappoint on the palate. The ripe, plummy fruit presents itself very well, but there is a sense of restraint here. This wine really plays to the strengths of the vintage with soft, juicy fruit dominating. This is not a big wine, although there is some weight – it is a lot like other 2014s in that respect – but satisfying, sweet fruit is present. This will be a joy to drink early. The finish is crisp and nicely refreshing. This displays raspberry and violets on the nose and is quite intense. Rich, sumptuous and quite concentrated dark fruits are prominent on the palate, along with grainy tannins and an impressive length. It is surprisingly intense and has a really tremendous texture.